Armasure is simply dedicated to providing the UK with affordable, high quality body armour, bullet proof vests, ballistic insert plates and helmets for all those in the line of fire. 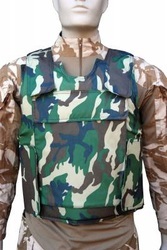 We are a leading supplier of personal body armour and have stock of bulletproof jackets, vests, ballistic insert plates and helmets at NIJ IIIA, NIJ III and NIJ IV protection levels. We offer special discounts for civilians, so journalists, NGO workers and medical staff can all get hold of good armour cheaply. Our global reach and distributors enable access to our stab proof products all over the world. Ballistic products we just ship to the UK. We have a wide range of stock, ready to send, so we can service customers both small and large, with quick delivery from our UK warehouse. With our skilled designers and technicians working with our trusted OEM manufacturing partners around the world, we have created a product range that caters for a wide range of requirements, threat levels and risk environments. We use a wide range of soft and hard armour materials, including aramid and polethylene for lightweight vests, and silicon carbide ceramics for hard plate. With soft armour stopping up to NIJ IIIA, durable 1000D nylon covers, high adjustability and slimline concealable options, our vests are very popular. Several different colour and camouflage options available too. Offering the latest in helmet technology and style, we have a helmet to suit all tastes, from the traditional PASGT style to the latest FAST design with side rails and night vision shroud to accommodate all the latest accessories. For those in the line of fire, our ballistic armour plates, are light and provide exceptional protection, up to NIJ IV multi-shot. In 10x12" (250x300mm) size, they are compatible with most vests and jackets. A top of the range jacket for those in the serious warzone, the AS25 provides top protection, MOLLE webbing, detachable groin/neck protection, side, front and back upgrade plate support with load balancing cummabund.